When Richard Freudenstein was appointed as the new CEO of Foxtel, he inherited a complex shareholder arrangement, rapidly evolving industry dynamics, unprecedented technological innovation, and a legacy of strong-willed, charismatic leaders. Richard began by orchestrating an industry defining merger between Foxtel and Austar, the largest pay TV operator in regional and rural Australia. With the merger complete, he set about transforming the organisation from the inside out. His main aims were to significantly increase Foxtel’s penetration into Australian Households, and to increase customer advocacy. He knew these outcomes would only be possible if the whole organisation was engaged, aligned and committed to the journey ahead. Our work together began with defining shared aspirations, strategic priorities, and shared standards of behaviour, aligned to the Foxtel Values. Together, we then conducted a business alignment review to identify the specific opportunities for transformation. We found that Foxtel was an exciting, but frantic environment. Results were vigorously pursued but often compromised by competing priorities, endless meetings, a need for speed, and leaders who were trying to do everything. Instead of a burning ambition to succeed, leaders felt like they were standing on a burning platform. 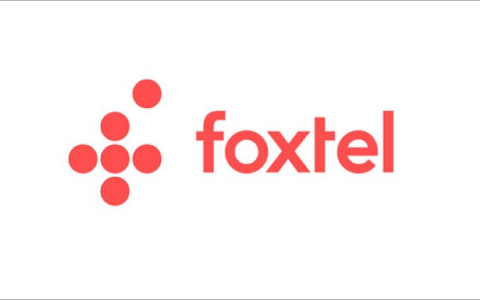 Our priority was to create a deep understanding of the aspirations and strategy throughout Foxtel, ensuring that every single person had a direct line of sight to his or her individual contribution. With strong alignment in the executive team on the way forward, we broadened our focus to include the senior leadership group. This group of 100 senior leaders had incredible power to affect organizational change. A new forum was created to engage them; quarterly leader days focused on strategic review and update, solution generation for Foxtel’s most pressing business challenges, and a strong focus on engagement with the rest of the business. With clear aspirations and priorities in place, we began our work on leadership transformation, working with the executive team individually and collectively on a comprehensive process to align their leadership impact to the Foxtel’s bold aspirations. With the executive team on track to increased leadership effectiveness, this work was then systematically cascaded to the senior leader group. Finally, we focused on aligning the key structures, systems and processes to the aspirations. We worked with internal change agents to establish a regular rhythm of scorecard reviews, and standards discussions. We implemented more effective meeting disciplines, and supported changes to the people and performance systems to ensure absolute alignment to the aspirations. The organisation has achieved both its financial and customer targets, and the most recent numbers reveal that profitability targets have been met, subscriber growth has risen significantly over the last year (9% increase), and despite all of the hype around new market entrants like Netflix, churn has decreased. Our work together on leadership transformation has produced huge constructive shifts in impact for the executive team and senior leaders group. Not surprisingly, Hewitt employee engagement scores have risen significantly year on year. Recently, the People and Culture team were nominated for HR strategy of the year, and won the award for best change management plan for their “Next Episode” work in cascading the strategy.